4 Pics, 1 Band - Prove you are the ultimate music master. 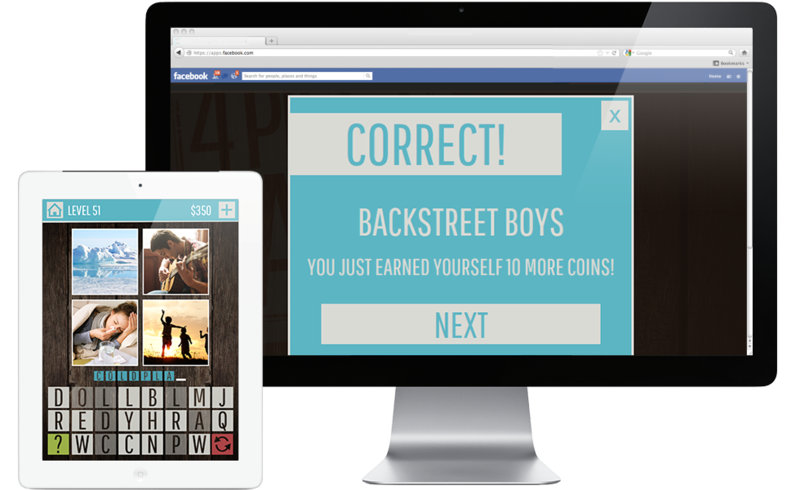 If you're familiar with what's the word type games and you're a music fan, you'll love 4 Pics 1 Band. 4 Pics 1 Band covers genres from pop, rock, country, indie, alternative, techno and all kinds of other artists and music styles. Each level features 4 everyday photos. Your objective is to identify the words they represent, combine them and correctly guess the band or music artist that the pictures represent. We'll provide you with the letters and even tell you how long the word or words in the name are.